Position: Chair of Governors and founding member of EUTC trustees. About Me: Managing Director of one of the worlds most famous Film and TV studios Elstree Studios, former owner of Teddington Studios. Producer of first ever programme commission for Channel 4, Former Manager of The Young Vic. Producer/Director Film and TV. Relevant business interests: Film and TV production, Royal Opera House Bridge, Royal Television Society, British Academy Film and Television Arts, British Film Institute, CBI. Experience: 45 years working in Film TV and Theatre industry, Education included University of Sussex and London Film School. Skill sets: Education, Employability and Enterprise, Creative Industries, Educational Management and Leadership, Policy and Strategy in relation to Education including Higher Education. Expertise in relation to Quality Assurance and Enhancement at national level, including audit. Staff development in education. Technical resources and technical management for creative arts education. International and regional partnerships between education and industry organisations, and education to education arrangements. Relevant (business) interests: Director and Trustee of Digswell Arts Trust, Steering Group for International Research Institute Letchworth, Vice Chair and Executive of Council for Higher Education for Art and Design, overview of conferences and national leadership development, Quality Assurance Agency national benchmarking group for Art and Design. Summary: key experience and strengths – educational strategy, leadership and management, curriculum and portfolio, employability. Creative arts and industries in particular visual arts, design, media production, music technology and art therapy. About Me: A mother of three with my eldest attending Elstree UTC since September 2014. My son, in Elstree UTC, in year 12 (his third year at the school) and my daughter will join the school in September 2017. I am passionate about the school and its ethos, ensuring educational opportunities are maximised for children of all abilities and backgrounds. Skill sets: My own background is a company director in the finance/legal sector, I have two law degrees. My LLM is in E Commerce, Data Protection and Copyright. In addition, I am a published children’s book author with three new books due to be published later on in the year. More recently, a mum manager to my daughter’s growing music career. Being one of the parents in the school also contributes to my ability as a Parent Governor to understand the many challenges the school faces, in particular as the college is in its infancy and is a fresh/new concept. I aim to apply my energy, enthusiasm and experience to help overcome these challenges and achieve the progress the school/students aspire to. I believe Elstree UTC has an amazing optimistic and bright future and I see it as a privilege to contribute to the ongoing work with staff, parents and students as well as the local community to ensure we become an outstanding school with real results and aspirational fulfilment while creating job opportunities in the industry allowing students and staff to achieve their full potential. Skill sets: education law (both secondary and higher education); strategic school leadership; school and corporate governance; dispute resolution; intellectual property law. Summary: Alex is currently Acting Director of Legal & Compliance Services and University Solicitor at the University of Hertfordshire. He specialises in education law, in both the secondary and higher education sectors. Alex previously worked for nearly a decade in the City of London, focusing on high-profile commercial litigation, but his focus is now on university and corporate governance, intellectual property, dispute resolution and commercial work. In addition, Alex has been Chair of Governors at Beaumont School in St Albans (Ofsted Outstanding, March 2014) since March 2013, and a school governor since 2010. In November 2016, Alex was named Outstanding Governor of the Year by the Hertfordshire Association of School Governors. Alex grew up in Hertfordshire and studied Modern History at Balliol College, Oxford. He is an avid musician, having held organ scholarships as a student in Edinburgh and Oxford. Alex’s choral compositions have been published by Banks Music Publications and Stainer & Bell. Skill sets: I was formerly Associate Head at St Clement Danes School and Director of the Herts and Bucks Teaching School Alliance. Within these roles I developed extensive experience across a range of educational issues such as school improvement strategies, curriculum planning and development alongside leading initial teacher training and career development. I have delivered regional and national training on issues such as effective school to school support. Past work included involvement with the University of Hertfordshire and Middlesex University together with the learning trusts for Hertfordshire and Buckinghamshire. One specific role was leading a support programme at the Aylesbury based Bucks UTC. Since retiring from SCD in August 2017 I have continued as an Ofsted inspector, lead school reviews for Challenge Partners and work for the Danes Educational Trust. Summary: Effective technical education is one of the greatest UK requirements if we are to generate high quality life chances for the full breadth of our young people. If they are to play a significant role in all aspects of adult life a relevant career oriented education is essential for the ever changing 21st century environment. It is a privilege to be able to contribute to Elstree developing into a beacon of excellence as a UTC. Skill sets: Education, Creative Industries, Employability. I have 20 years experience in the Creative Industries, including 6 years at Warner Bros. Studio Tour London - The Making of Harry Potter as well as stints at Enigma Films, Lightmotive Films, Majestic Films, the British Film Commission and other American film companies. Skill sets: PGCE qualified teacher of 3 years at the Elstree UTC. Industry experience working in creative and technical industries (games, music, conferencing & events). Contacts within the University of Hertfordshire, Imperial College London & King’s College London. Summary: I have worked at the Elstree UTC as Computer Science teacher for 3 years and I am a local Borehamwood resident of 27 years, who has a vested interest in the ongoing growth and development of the UTC. I am currently taking an active role in developing connections between UH and Elstree to improve courses, student experience and destinations. I recently attended the UH student taster day and regularly work with the Elstree projects team on extra curricular activities. This includes winning the 'Apps for Good 2017' national app design competition, as well as trips and Sykpe calls to industry professionals; Spotify and Salesforce. Primarily I want to support the governing board in improving student recruitment within Hertfordshire and the colleges role within the local community at large. Additionally, I would like to continue working with senior leaders and teachers, with a long term aim of better results. It is important to me that all stakeholders within the college have an equal part to play in the ongoing journey of the Elstree UTC. I believe that together we can drive excellence and creativity within our community. Skill sets: I have extensive experience in IT as a consultant, project manager and CTO of IT Solution Providers and Social Media properties across europe. Relevant Business Interests: I helped found and manage the Hitchhiker’s Guide to the Galaxy Foundation, a charity which is helping people all over the world develop the tools to share in the worlds of ideas and creation. Summary: My experience from many years of living and working in Denmark and Germany has given me a solid basis for managing my own companies in the IT Services Industry. Skill sets: Education, Drama, local theatre and the creative arts, outreach, project management and partnerships. Summary: Born and grew up in Hertfordshire with plenty of local community links, particularly with arts and theatre in Hertfordshire. I have taught at two school’s before Elstree UTC, all within the Herts and Bucks area. I have taught drama and English previously before coming to Elstree UTC and talking up Media and Film teaching. 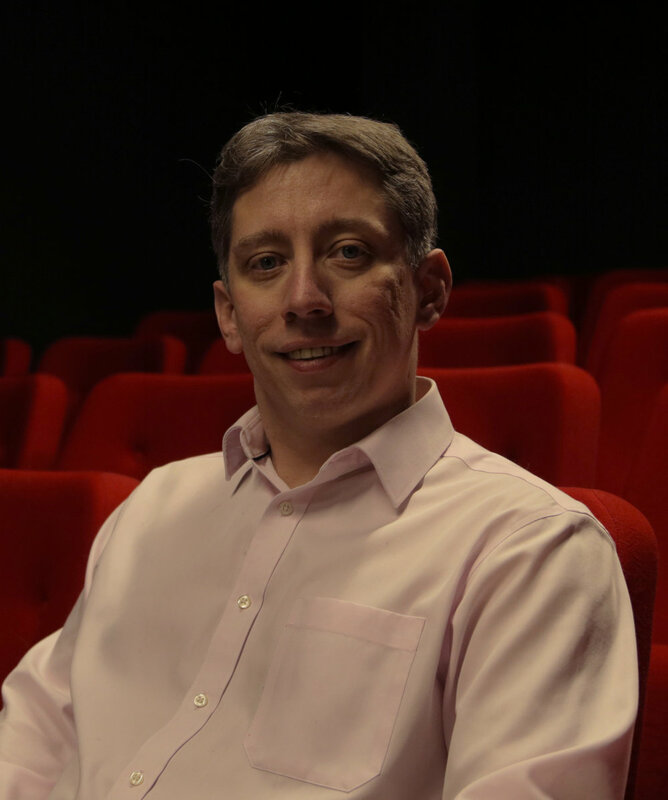 EUTC provided me the opportunity to progress to become Head of Media and Film, Assistant Principal in charge of Teaching and Learning and now Director of Enterprise, Projects, Partnerships and Productions. Through this experience I have been given an insight into leadership, teaching, learning, assessment and now the partnerships and outreach work at EUTC. Skill sets: Through my work as a Senior Pension Consultant, advising companies on their benefit arrangements, I am used to dealing with boards of major well known companies as well as challenging and liaising with regulatory bodies. As a parent of two children with additional needs, I am well versed in the SEN Code of Practice and experienced in dealing with the Local Authority to ensure that they are providing for all pupils in this regard. I have two children currently attending Elstree UTC and have been impressed by the attitude and ethos of the school. Having had experience of a number of other schools within Hertfordshire, it was a breath of fresh air to see a school that genuinely cared for the children that were attending and wanted to help them thrive and go on to succeed in their chosen careers. I am looking forward to helping Elstree UTC continue helping children to thrive and pushing them when more can be done. It is a privilege to represent the parents and to make sure their views can be heard. EUTC is managed by The Elstree University Technical College Trust. The trust was founded by Elstree Studios and the University of Hertfordshire. The EUTC Trust is supported by the Danes Educational Trust and is part of the Hertfordshire and Bucks Teaching Schools Alliance. Elstree Studios has firmly established itself as the number one Film and Television Studio in London. In its 90 year history, Elstree has been the studio of choice for many legendary producers and directors from Alfred Hitchcock, George Lucas, Steven Spielberg and Stanley Kubrick to Danny Boyle, Tom Hooper, Guy Ritchie and Matthew Vaughn. Over 800 feature films, and similar numbers of television programmes, have been produced at Elstree Studios, as such Elstree Studios are able to give Elstree UTC students access to a plethora of industry experiences. The University of Hertfordshire was the 2010 Times Higher Entrepreneurial University of the Year and a leader in the specialisms that Elstree UTC’s offers. The University will offer the use of facilities, master classes, visiting lecturers and student mentors. UH is in an ideal position to support Elstree UTC's specialism with their purpose-built Digital Facilities Building and Art and Design buildings which have excellent resources for CAD and modelling, digital animation, rapid prototyping, web software and moving image work. The School of Creative Arts has Skillset Media Academy status and offers expertise in animation, visual effects, model-making, special effects, interactive media, film and video production, photography, digital design and production and visualisation. David Meller is a non-executive board member at the Department for Education. David is joint chairman of the Meller Group and is the chair of the National Apprenticeship Ambassador Network and the Apprenticeship Delivery Board. The Danes Educational Trust is a multi academy trust in Hertfordshire. Their first school, St Clements Danes, is an outstanding secondary school and sixth form and the NLE (National Leader in Education) for Hertfordshire. They support EUTC by providing consultancy and educative services.